The result of B.Ed/M.Ed Annual Examination 2017 has been announced. 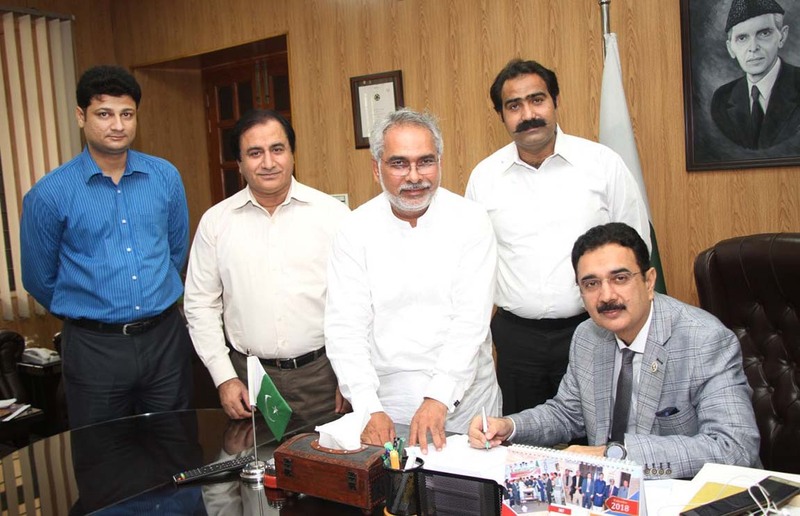 Vice Chancellor Prof. Dr. Muhammad Ali (TI) formally signed the results notification in his office. Total 350 students appeared in this exam whereas passing percentage is 85%. Fouzia Rasheed got 1st position with 861 marks, Shakeela Jabeen got 2nd position with 844 marks and Aqsa Shahid got 3rd position with 841 marks. Dr. Shafqat Hussain, Controller of Examinations, Prof. Dr. Nasir Amin, Dean Faculty of Physical Sciences, Dr. Asrar Ch., Additional Controller and Mr. Hassan Mahmood, Assistant Controller were also present on the occasion.